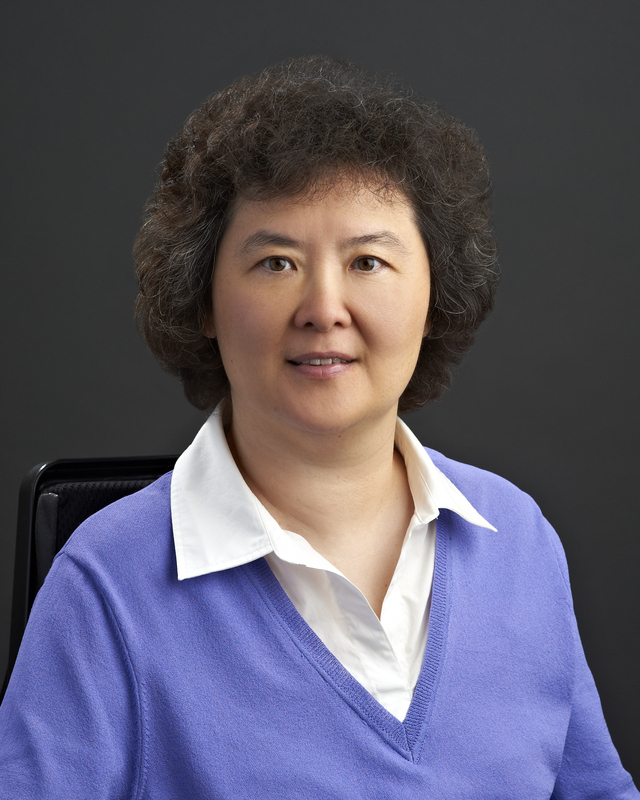 Dr. Liu's teaching and research interests center on educational uses of new media and other emerging technologies, particularly the impact of such technologies on teaching and learning; and the design of new media enriched interactive learning environments for learners at all age levels. She has published over 71 research articles in leading peer-reviewed educational technology research journals, 16 peer-reviewed book chapters, and presents regularly at national and international technology conferences. Dr. Liu regularly invites her students to join her research projects as she views this as a mentoring and training opportunity for future faculty and researchers. As shown in her publications and conference presentations, almost all of her co-authors and co-presenters are her current and former graduate students. She develops and teaches graduate and undergraduate courses on new media design, production, and research. The courses she has taught include "Interactive Multimedia: Design and Production," "Designs and Strategies for New Media," "Instructional Systems Design," "Educational Research Design," "Live, Play, Communicate, and Learn with Digital Media Technologies," "Digital Literacy for Teaching and Learning," "Analysis of Research in Instructional Technology," "Multimedia Authoring," and "Interactive Multimedia Research." She also serves on a number of editorial boards for research journals in Learning Technology/Instructional Technology. 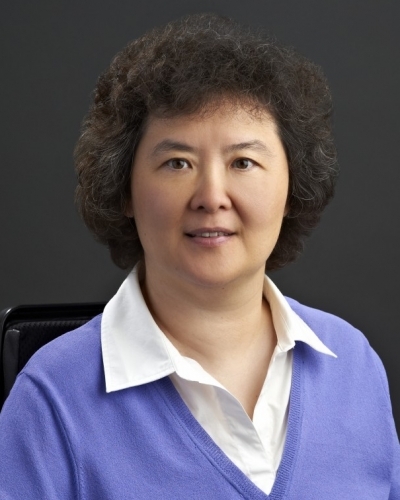 Dr. Liu directs the development of several digital media technology projects. One of her projects has been selected as the Winner of 2012 Interactive Learning Award and was the recipient of 2013 Outstanding Practice Award , both sponsored by the Association for Educational Communications and Technology (AECT), a major international IT professional organization. Another project was a Finalist of 2010 national Learning Challenge Competition sponsored by Disney Research. Her project, Alien Rescue, is being used as part of the science curriculum by middle schools in at least 30 states and 4 countries. Her article, "A Multiple-Case Study Examining Behavior Patterns By Students With Different Characteristics In a Serious Game" received the Best Paper Award in 2016 from Applied Research in Immersive Environments for Learning SIG of American Educational Research Association (AERA). Shu, L. Y.. & Liu, M.. (2019). Student Engagement in Game-Based Learning: A Literature Review from 2008 to 2018. Journal of Educational Hypermedia and Multimedia, 28(2). Liu, M., Liu, S., Pan, Z., Zou, W. & Li, C. (2019). Examining Science Learning and Attitudes by At-Risk Students After They Used a Multimedia-Enriched Problem-Based Learning Environment. Interdisciplinary Journal of Problem-Based Learning, 13(1). Liu, M., Ko, Y., Willmann, A. & Fickert, F. (2018). Examining the Role of Professional Development in a Large School District's iPad Initiative. Journal of Research on Technology in Education, 50(1), 48–69. doi:10.1080/15391523.2017.1387743. Liu, M., Navarrete, C., Scordino, R., Kang, J., Ko, Y. & Lim, M. (2016). Examining teachers' use of iPads: Comfort level, perception, and use. Journal of Research on Technology in Education, 48(3), 159–180. http://www.tandfonline.com/doi/abs/10.1080/15391523.2016.1175853?journalCode=ujrt20. Liu, M., Lee, J., Kang, J. & Liu, S. (2016). What we can learn from the data: A multiple-case study examining behavior patterns by students with different characteristics in using a serious game. The Technology, Knowledge and Learning journal, 21(1), 33–57. http://link.springer.com/article/10.1007/s10758-015-9263-7. doi:10.1007/s10758-015-9263-7. Liu, M., McKelroy, E., Kang, J., Harron, J. & Liu, S. (2016). Examining the use of Facebook and Twitter as an additional social space in a MOOC. The American Journal of Distance Education, 30(1), 14–26. http://www.tandfonline.com/doi/abs/10.1080/08923647.2016.1120584. doi:10.1080/08923647.2016.1120584. Liu, M., Abe, K., Cao, M., Liu, S., Ok, D., Park, J., Parrish, C. & Sardegna, V. (2015). An Analysis of Social Network Websites for Language Learning: Implications for Teaching and Learning English as a Second Language. The Computer Assisted Language Learning (CALICO) journal, 32(1). https://journals.equinoxpub.com/index.php/CALICO/article/view/25963. Liu, M., Kang, J., Lee, J., Winzeler, E. & Liu, S. (2015). Examining through visualization what tools learners access as they play a serious game for middle school science. Serious Games Analytics: Methodologies for Performance Measurement, Assessment, and Improvement (pp. 181–208). Switzerland: Springer. doi:10.1007/978-3-319-05834-4. Liu, M., Kang, J. & McKelroy, E. (2015). Examining learners' perspective of taking a MOOC: Reasons, excitement, and perception of usefulness. Educational Media International Journal, 52(2). http://link.springer.com/chapter/10.1007/978-3-319-05834-4_8. doi:10.1080/09523987.2015.1053289. Liu, M., Kang, J., Cao, M., Lim, M., Ko, Y., Myers, R. & Schmitz Weiss, A. (2014). Understanding MOOCs as an Emerging Online Learning Tool: Perspectives From the Students. The American Journal of Distance Education, 28(3), 147–159. http://www.tandfonline.com/doi/abs/10.1080/08923647.2014.926145. doi:10.1080/08923647.2014.926145. Liu, M., Scordino, R., Geurtz, R., Navarrete, C., Ko, Y. & Lim, M. (2014). A Look at Research on Mobile Learning in K-12 Education From 2007 to Present. Journal of Research on Technology in Education, 46(4), 325–372. http://www.edb.utexas.edu/liu/files/MobileLearning_RevOfLit_AdultEd_Final_MinLiu.pdf. doi:10.1080/15391523.2014.925681. Liu, M., Horton, L., Lee, J., Kang, J., Rosenblum, J., O'Hair, M. & Lu, C. (2014). Creating a Multimedia Enhanced Problem-Based Learning Environment for Middle School Science: Voices from the Developers. Interdisciplinary Journal of Problem-Based Learning, 8(1). http://dx.doi.org/10.7771/1541-5015.1422. Liu, M., Navarrete, C. & Wivagg, J. (2014). Potentials of Mobile Technology for K-12 Education: An Investigation of iPod touch Use for English Language Learners in the United States. Journal of Educational Technology & Society,, 17(2), 15–126. https://www.google.com/url?sa=t&rct=j&q=&esrc=s&source=web&cd=1&cad=rja&uact=8&ved=0CD4QFjAA&url=http://www.ifets.info/journals/17_2/10.pdf&ei=xPzmU5DdFoir8gHM4oDoDA&usg=AFQjCNHrgLifOn6WMrX_-DlYj7qUCVdNSg&sig2=L5GsCt6XFE97aBEs7fFvaA&bvm=bv.72676100,d.b2U. Liu, M., Rosenblum, J., Horton, L. & Kang, J. (2014). Designing Science Learning with Game-Based Approaches. Computers in the School, 31(1/2), 84–102. http://www.edb.utexas.edu/liu/files/ARGame-based_Final_Liu.pdf. doi:10.1080/07380569.2014.879776. Liu, M. (2014). Motivating Students to Learn Using a Game-Based Learning Approach. Texas Education Review, 2(1), 112–128. http://www.txedrev.org. Liu, M., Navarrete, C., Maradiegue, E. & Wivagg, J. (2014). Mobile Learning and English Language Learners: A Case Study of Using iPod Touch As a Teaching and Learning Tool. Journal of Interactive Learning Research, 25(3). http://www.edb.utexas.edu/liu/files/MobileLearning_EnglishLanguageLearners_Final.pdf. Liu, M., Navarrete, C., Maradiegue, E. & Wivagg, J. (2014). A Multiple-Case Study Examining Teachers' Use of iPod Touches in Their Pedagogical Practices for English Language Learners. Mobile Pedagogy and Perspectives on Teaching and Learning (pp. 165–185): IGI-Global Publishing. doi:10.4018/jgcms.2013010105. Liu, M., Horton, L., Kang, J., Kimmons, R. & Lee, J. (2013). Using a Ludic Simulation to Make Learning of Middle School Space Science Fun. The International Journal of Gaming and Computer-Mediated Simulations, 5(1), 66–86. doi:10.4018/jgcms.2013010105. Liu, M., Yuen, T., Horton, L., Lee, J., Toprac, P. & Bogard, T. (2013). Designing Technology-Enriched Cognitive Tools To Support Young Learners' Problem Solving. The International Journal of Cognitive Technology, 18(1), 14–21. Liu, M., Evans, M., Horwitz, E., Lee, S., McCrory, M., Park, J. & Parrish, C. (2013). A Study of the Use of Social Network Sites for Language Learning By University ESL Students. Social Networking for Language Education (pp. 137–157). New York: Palgrave Macmillan. Liu, M., Geurtz, R., Karam, A., Navarrete, C. & Scordino, R. (2013). Research on Mobile Learning in Adult Education. On the Move: Mobile Learning for Development. Charlotte, NC: Information Age Publishing. Liu, M., Wivagg, J., Maradiegue, E. & Navarrete, C. (2012). Affordances and Challenges of Using iPods to Support Learning by English Language Learners at the Middle School Level. Handbook of Research on Didactic Strategies and Technologies for Education: Incorporating Advancements, 275–288. doi:10.4018/978-1-4666-2122-0.ch023..
Alien Rescue is an online problem-based 3D immersive learning environment for sixth grade science. It combines best practices from educational research with innovative technologies to deliver an engaging learning experience.